John E. Fullerton, Inc. is pleased to be a part of the team that provided Franklin & Marshall College (F&M), an institution with a 230-year history of academic excellence, with substantial energy savings—with no capital spent. The College entered into a 20-year Power Purchase Agreement (PPA) for the Combined Heat and Power (CHP) project, which involved the installation of a 1.2 mW natural gas r eciprocating engine, heat recovery boiler, and a 140-ton absorption chiller in its existing boiler plant on its Lancaster, PA campus. F&M CHP, LLC developed, owns, and maintains the equipment and sells the electricity, steam, and cooling generated to F&M College at a discounted rate. Commissioned in mid-2016, the project generates approximately 10,100,000 kWh of electricity, which F&M previously consumed from the PJM power grid. It reduces the existing electric cooling system output by 490,684 kWh and gives the option of having cost-effective cooling in the winter months in facilities that have requested year-round climate control. The system also produces approximately 13 million lbs/yr. of steam that is fed into the campus’s main steam loop. In addition to the energy savings, the CHP project also offers significant benefits from environmental and community standpoints. 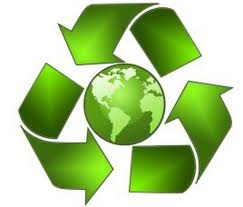 It reduces F&M College’s overall carbon footprint by nearly 2,200 tons annually. 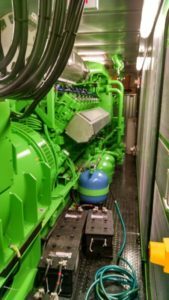 While operating in island mode, the generator is capable of supporting nearly 50 percent of the campus’s electric load during an electric outage. This will enable the College to offer a place of refuge to those in the local community during a prolonged outage. “The CHP provides roughly 50 percent of the power we use in a year, and we will probably save about $50,000,” said David Proulx, F&M’s Vice President for Finance and Administration and Treasurer.